Welcome to Seattle Yard Service. Serving Seattle-Tacoma with landscaping, yard service, and lawn maintenance services for 10+ years. We offer full-service landscaping, yard care, and lawn maintenance services including lawn mowing, edging, weeding, pruning, and debris removal. 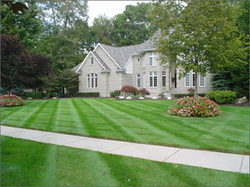 Call Seattle Yard Service today for your lawn mowing, landscaping and yard work needs. Steve's Yard Service has been landscaping Seattle-Tacoma yards for 10+ years!